Open Day at St Peter's church, Merton, Sunday 5th September 2 - 6 pm. Projection show of old photographs of Merton, Thompson and Tottington. Local history display. Exhibition of work by two local artists. Homemade teas. 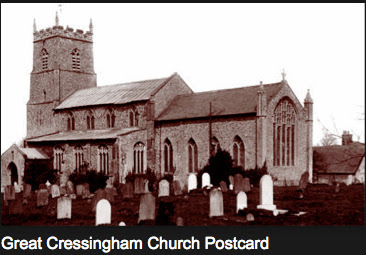 Photo Group and History Tour meet at Gt Cressingham Church 18th Aug at 2pm. Visit to the Norfolk Historic Environment Record and Air photography Library at Gressenhall, to look at material from the Parish of Hockham. 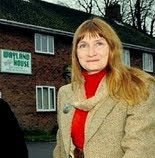 8 places available, please book now sue@wayland.org.uk meet at Gressenhall 1.45pm. 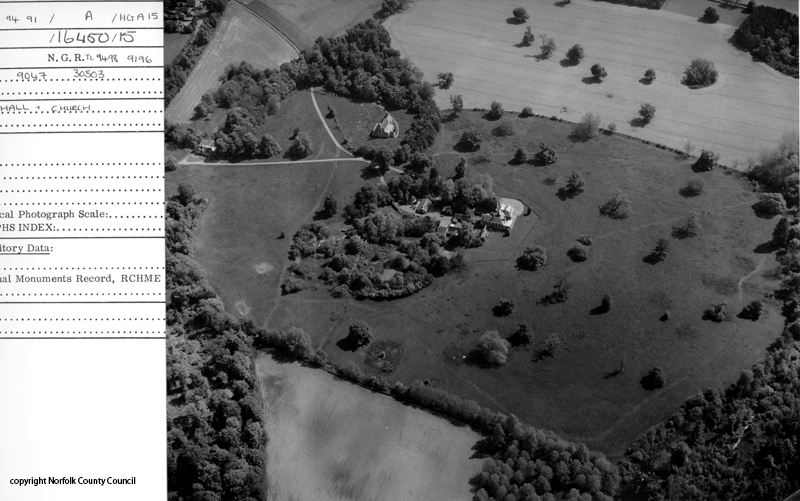 The Norfolk Historic Environment Record exists to provide a record of all areas of known archaeological activity, sites, finds, cropmarks, earthworks, industrial remains, defensive structures and historic buildings in the county. The record is held on a computerised, searchable database with integrated digital mapping. Alongside this are further, more detailed, paper records, maps and drawings for many of the sites and finds. The Norfolk Air Photography Library is housed at the offices of Norfolk Landscape Archaeology and is open to the public by appointment. 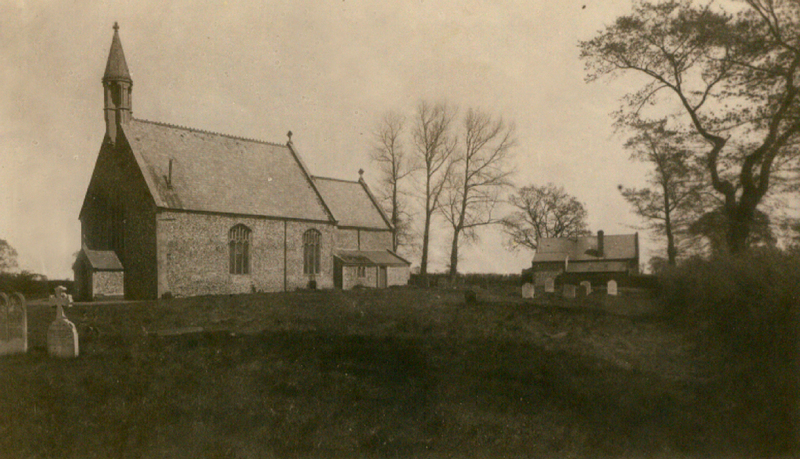 The library contains over 85000 images of Norfolk, and consists of a number of collections. The largest of these contains over 40000 photographs taken by Derek A. Edwards between 1974 and 2000. 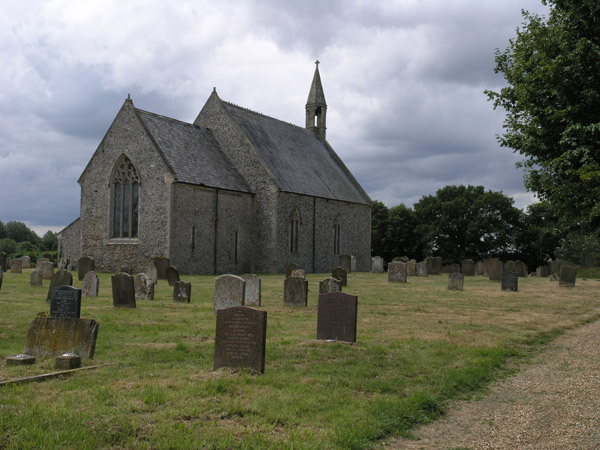 These are images taken of archaeological sites throughout the county and provide an excellent record of Norfolk's heritage. 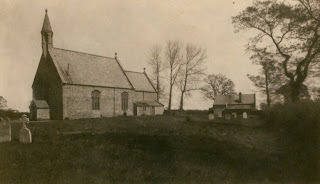 The archives are housed within Norfolk Landscape Archaeology, which shares the same building as the Gressenhall Rural Life Museum. As you go into the courtyard of the museum you go right to the far wing of the building. This week the history tour and photo group meet is at Stow Bedon Church at 2pm. 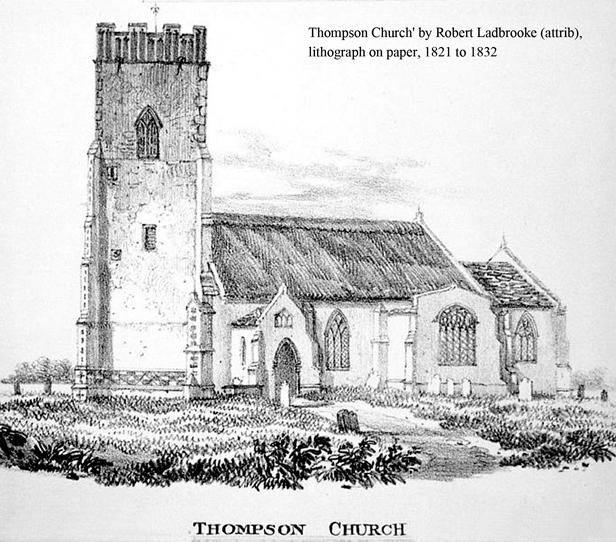 This week the history tour and photo group meet is at Thompson Church at 2pm. 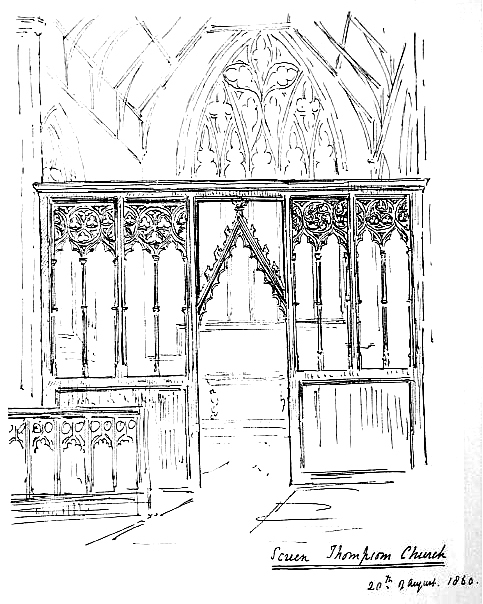 It is a wonderfully interesting church, full of fine examples of medieval craftmanship. 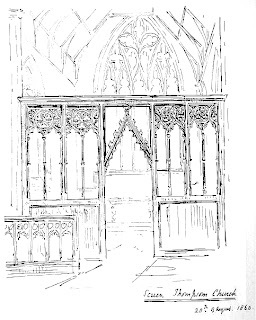 You can read about the church at http://www.norfolkchurches.co.uk/thompson/thompson.htm Our history guide will be Bron Tyler. Hope to see you there. Rev. George Crabbe, published a book on the history of Thompson called 'Some materials for a history of the parish of Thompson, in the county of Norfolk' in 1892 it is available to read on line and to down load as a PDF on the following link.